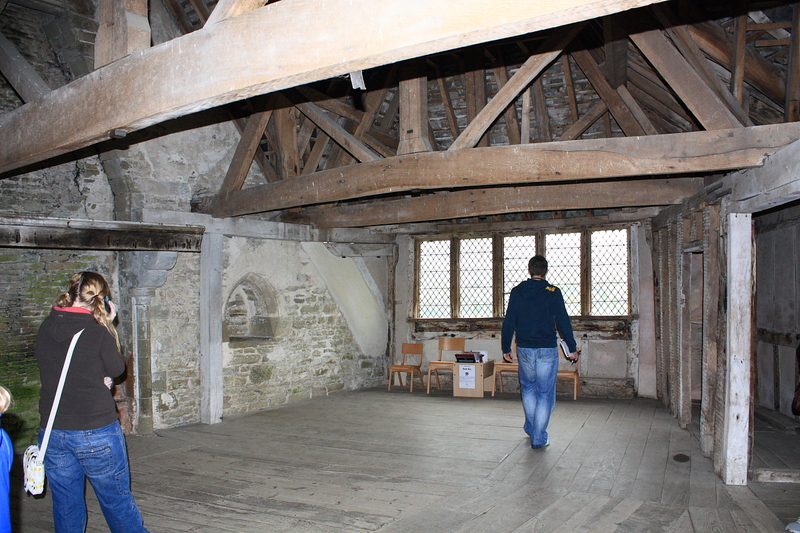 Below: view of the hall range at Stokesay Castle. 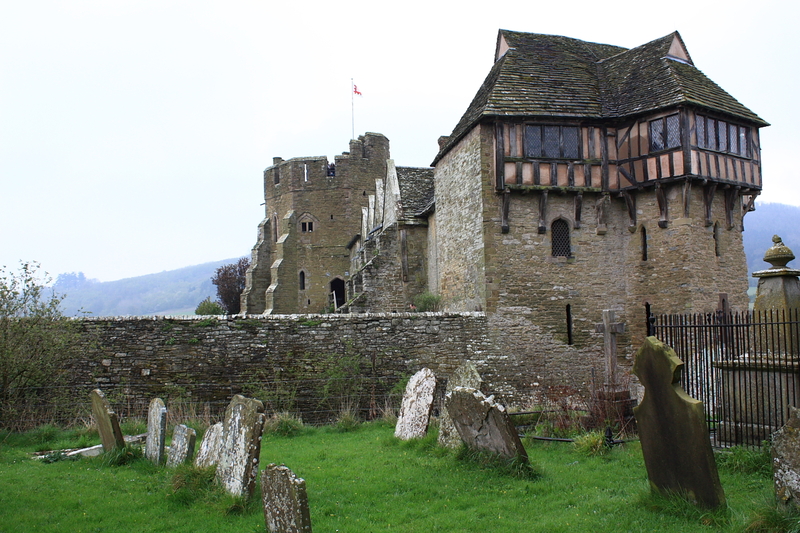 Stokesay Castle is a remarkable survival, a fortified manor house which has hardly altered since the late 13th century. The house was built by Lawrence Ludlow, a leading wool merchant of his day, who created a comfortable residence combining an aesthetically pleasing design with some defensive capabilities. In doing so, he took advantage of the newly established peace on the Welsh border following Edward I's defeat of the Welsh prince Llywelyn the Last. This enabled him to build a large hall, comfortable solar, or private apartment, with windows on the outside world, without fear of attack. 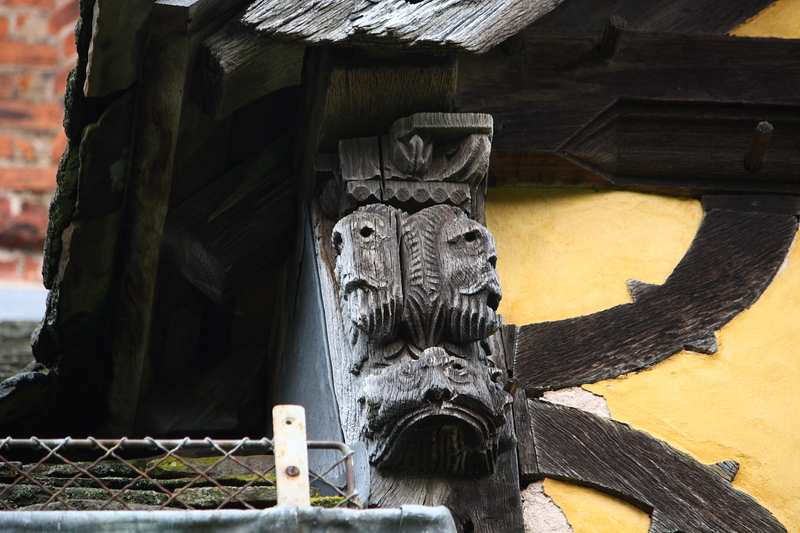 Below: two views of the 17th century timber-framed gatehouse. 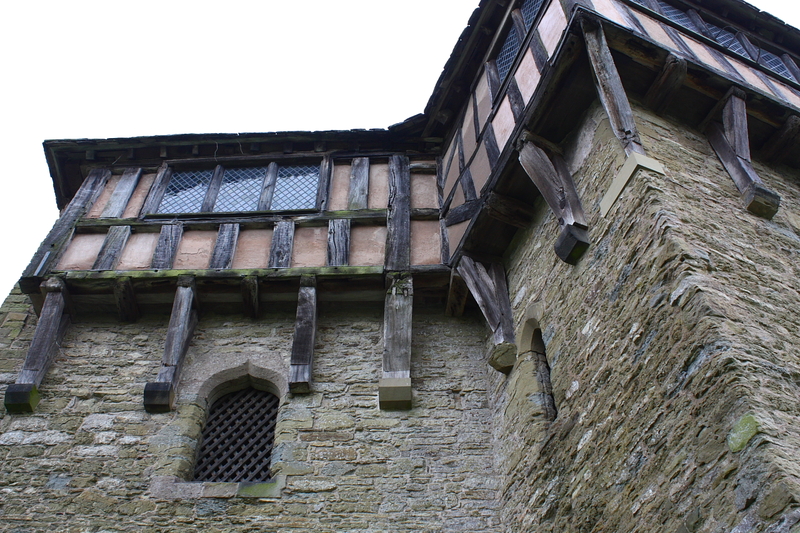 By good fortune Stokesay escaped destruction during the Civil War despite being involved in a skirmish. In the 19th century the castle was sympathetically restored and preserved, thanks to the enlightened efforts of several early conservationists. 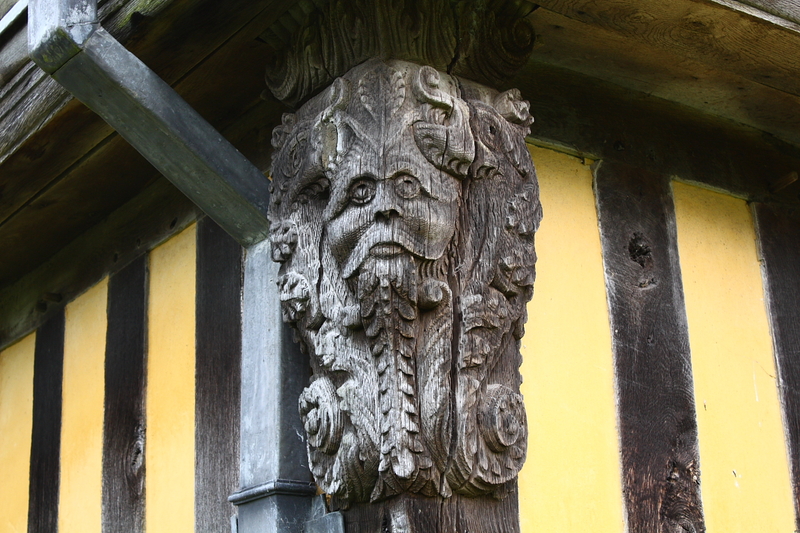 In the 1980s English Heritage carried out an extensive programme of repair. 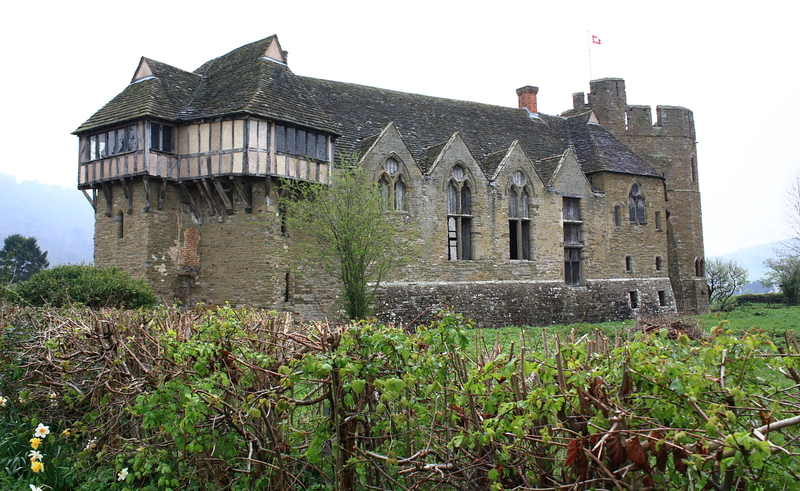 Despite its name, Stokesay was not called a castle before the 16th century and is really a fortified manor house, more domestic in character than military. 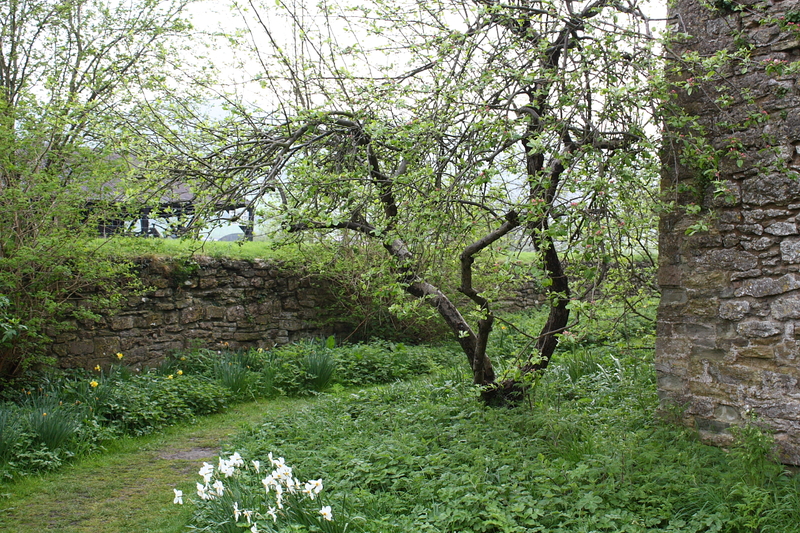 As with many early manor houses, the church and castle are now isolated, the village of which they were once the focal point having either moved or disappeared. 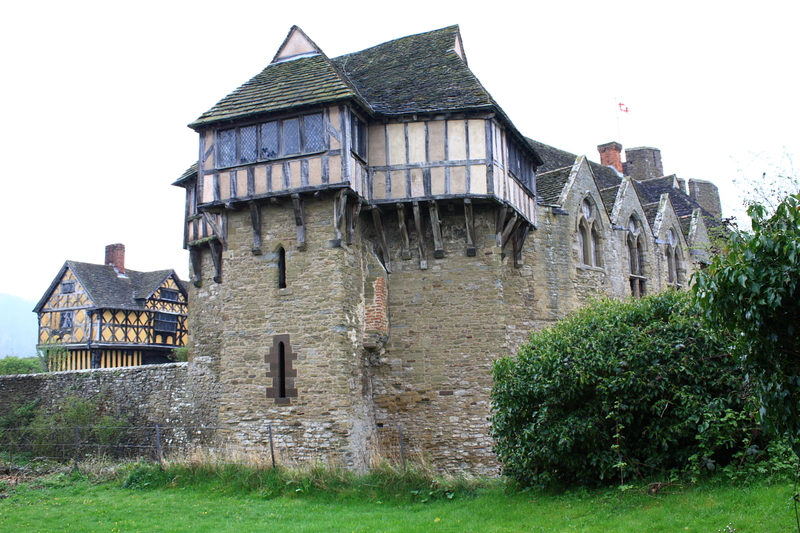 The first records of Stokesay date from the period immediately following the Norman Conquest. 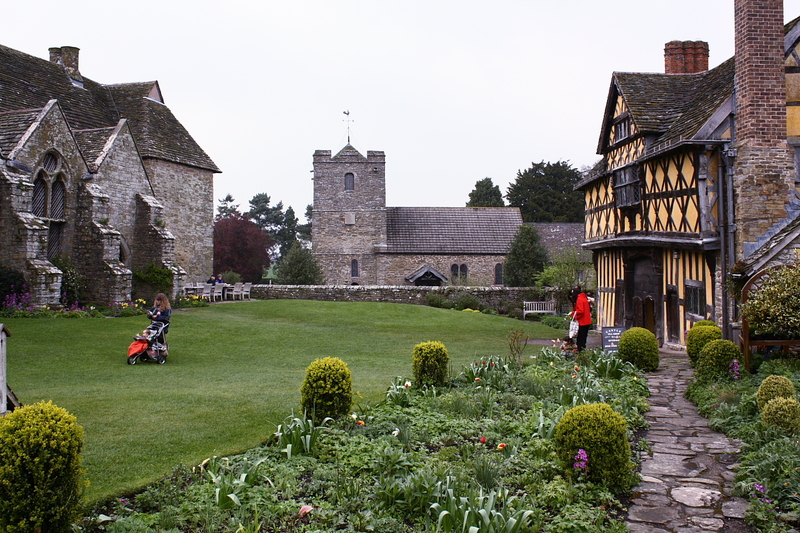 William the Conqueror installed Roger Montgomery as earl of Shrewsbury, and he in turn granted Stokesay to one of his retainers, Roger de Lacy. Below: view of the three-storied south tower topped by battlements dating from the late 13th century. 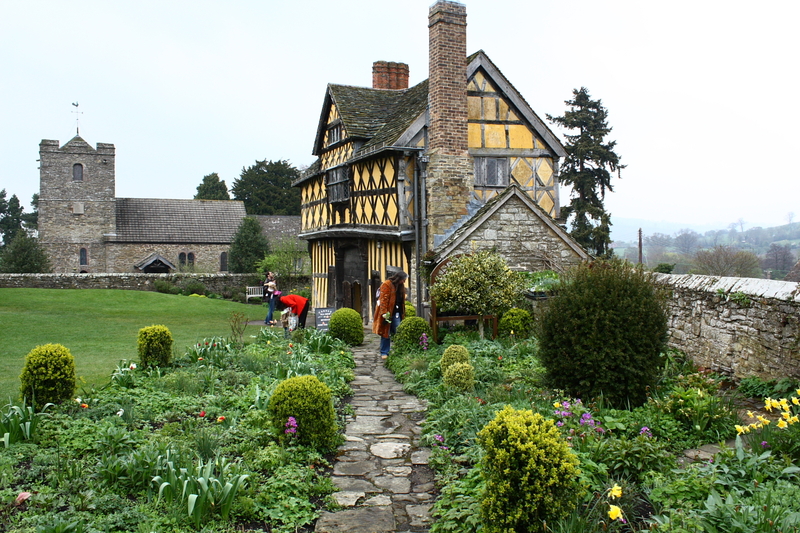 The Say family were tenants of Stokesay until the death of Walter de Lacy in 1240, when his son-in-law John de Verdon inherited, and obtained possession from Hugh de Say in exchange for land in Ireland. 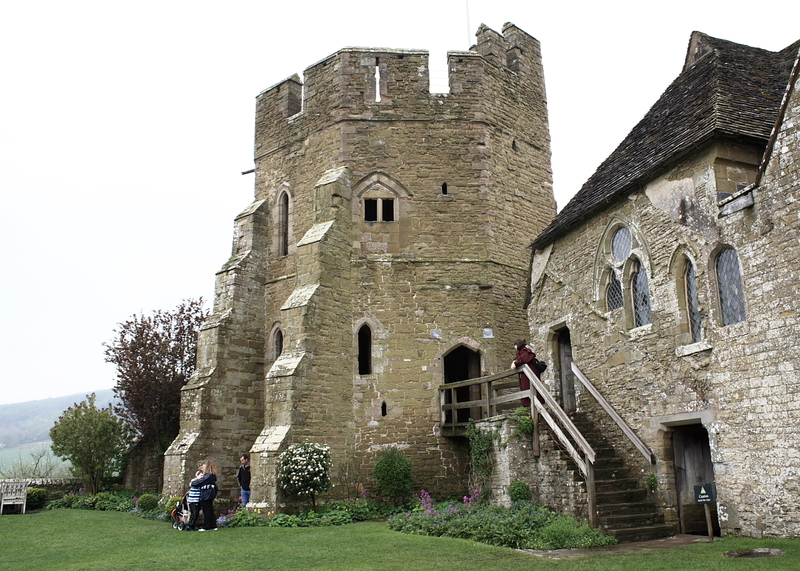 It is possible that de Verdon began the actual building of Stokesay around this time; the north tower and parts of the solar block may be his works. 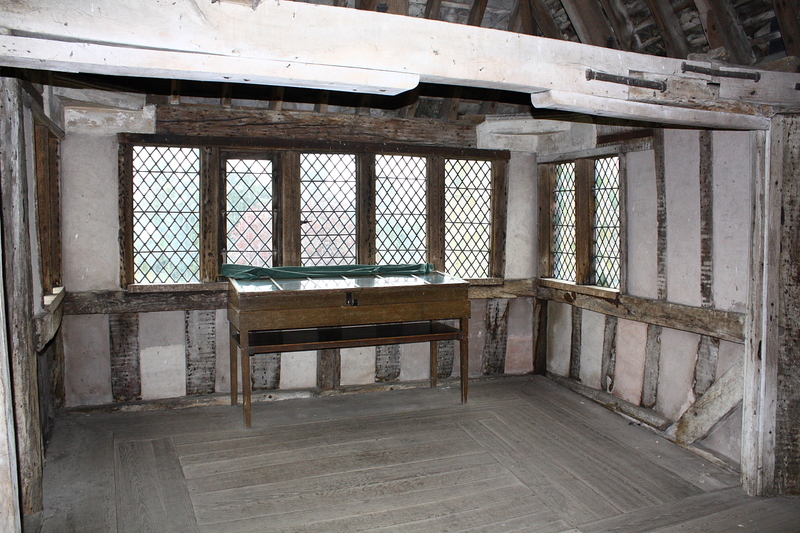 Verdon's tenant John de Grey sold the tenancy of Stokesay to the merchant Lawrence of Ludlow in 1281. The Ludlows were the leading wool merchants of the Marches, based in Shrewsbury, but with international connections in trade and finance. 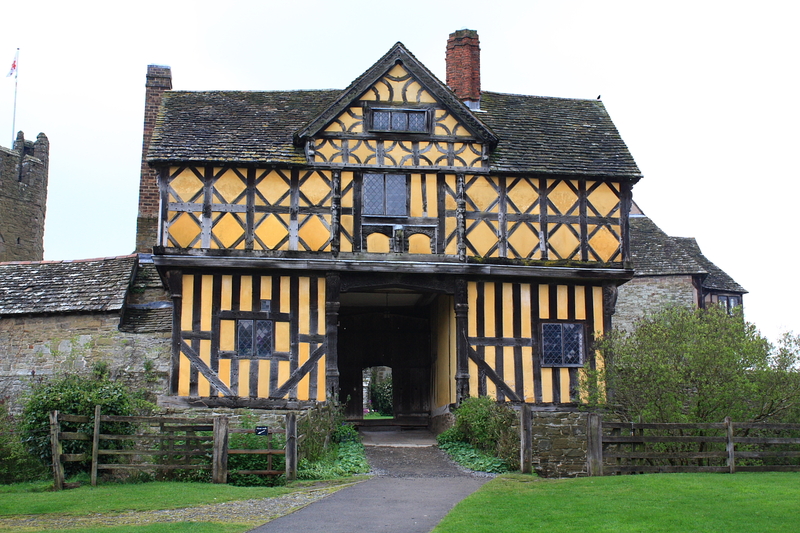 Although he remained technically a feudal tenant of Gray and Verdon, for all intents and purposes, Ludlow was the owner of the whole manor, obtaining a royal charter of free hunting rights in 1281. We can assume Lawrence began building soon after 1281, while completion of his work is perhaps indicated by the 'license to crenellate' which he obtained in 1291 from Edward I at Hereford. This was a license granted by the king allowing the license-holder to make a structure defendable by adding battlements. 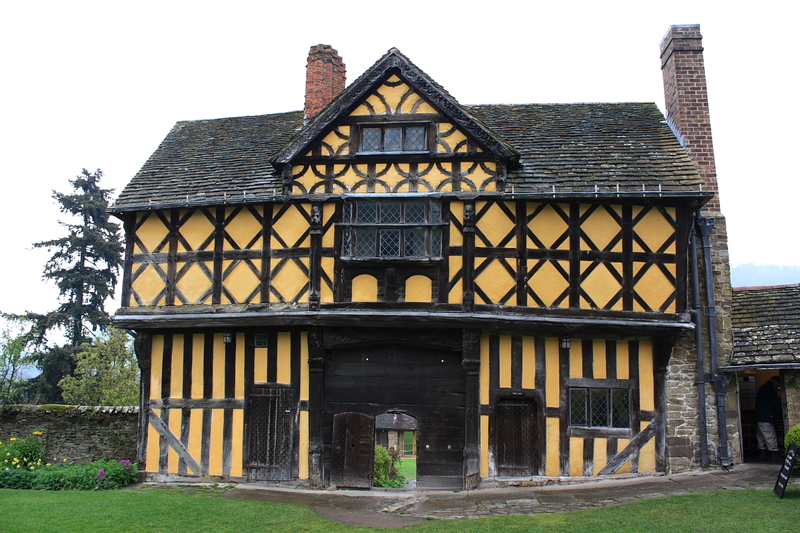 Many generations of Ludlows became well established as country gentry, frequently serving as Sheriffs of Shropshire in the 14th and 15th centuries. A walk around the outside of the castle gives an impression of how it would have appeared to an approaching traveller, a combination of impressive fortification and comfortable residence. Certain features of the design clearly indicate that Lawrence was as concerned to impress with the elegance of his house as with its strength. The moat surrounding the castle is entirely artificial, as the castle stands on a slope. The water came from a large pond to the south-west of the castle. The impressively-built north tower (left) stands on a sloping (battered) base which is lower than the rest of the castle. From the west, the main range of buildings appears to advantage, and this may have been intended as the main facade of the castle, since the road from Ludlow may have originally passed on this side of the valley. 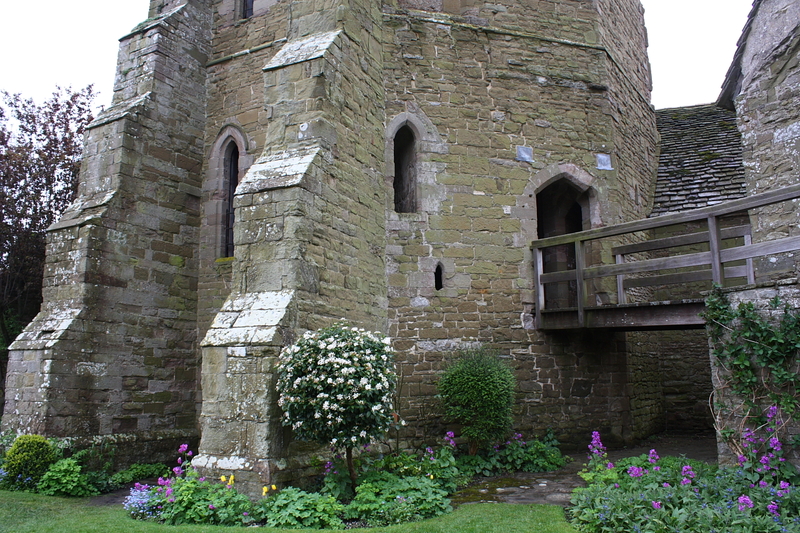 The section of curtain wall between the hall and south tower originally contained battlements, but was rebuilt in the 17th century. Of the post-medieval additions to the castle, only the gatehouse now remains. 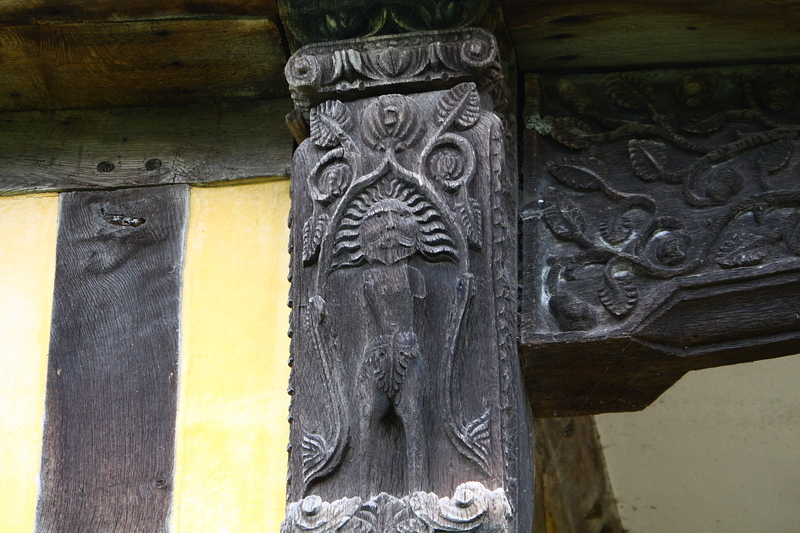 This is an elaborate example of the regional style of timber framing built around a central gate passage. 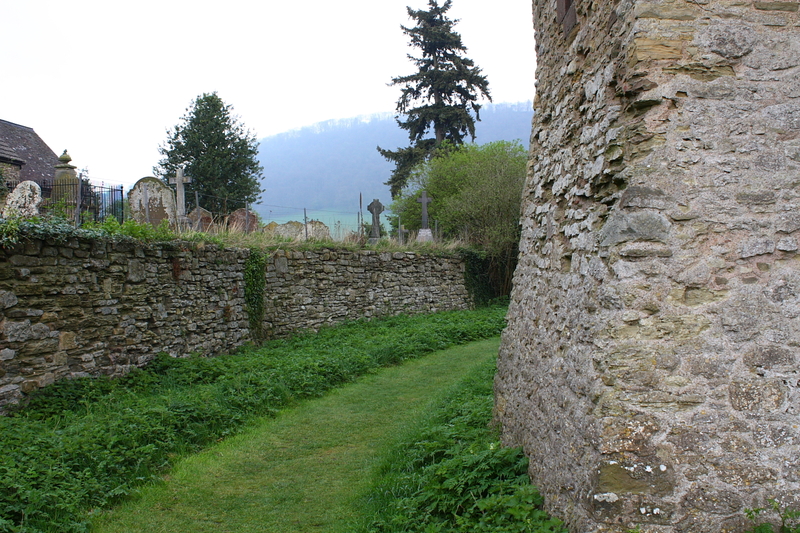 To the north of the castle is the Church of St John the Baptist, its churchyard extending almost to the castle walls. 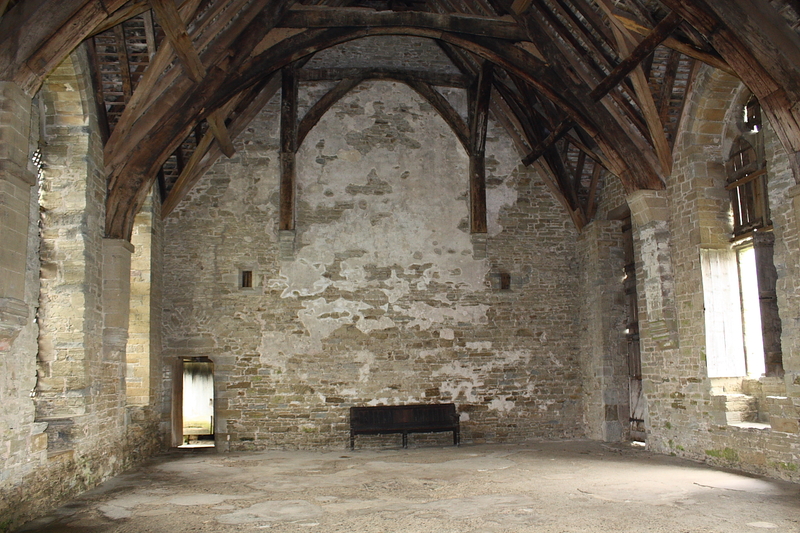 The Craven family and their tenants succeeded the Ludlows at Stokesay, but by the beginning of the 19th century the castle buildings had fallen into a state of decay and were being used by a nearby farm. Moves to preserve the castle buildings were initiated in about 1850 by Mrs Stackhouse of Acton (1794-1881). In 1869 J.D. 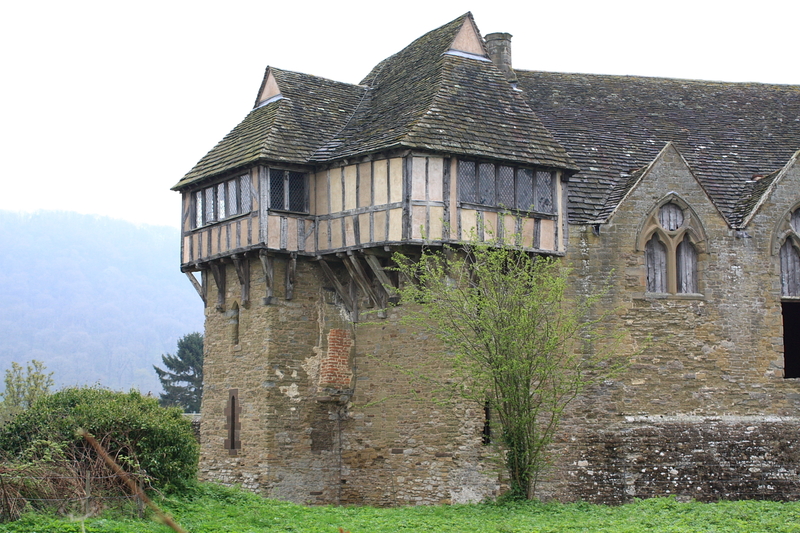 Allcroft, an altruistic Victorian, purchased Stokesay and carried out repairs from then until his death in 1892. 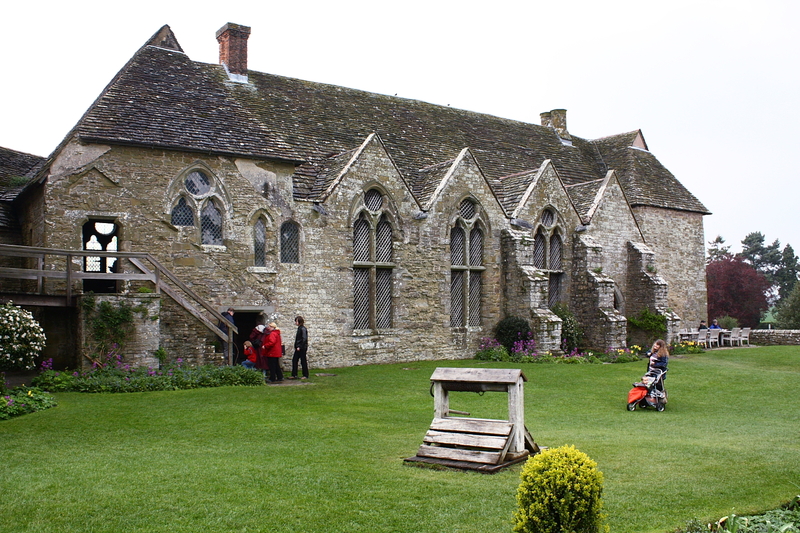 The Allcroft family opened the castle to the public in 1908 and in 1992, following the death of Lady Magnus Allcroft, the castle came into the guardianship of English Heritage.